Spirit Bear Trapeze - Great Bear Rainforest, British Columbia, Canada. 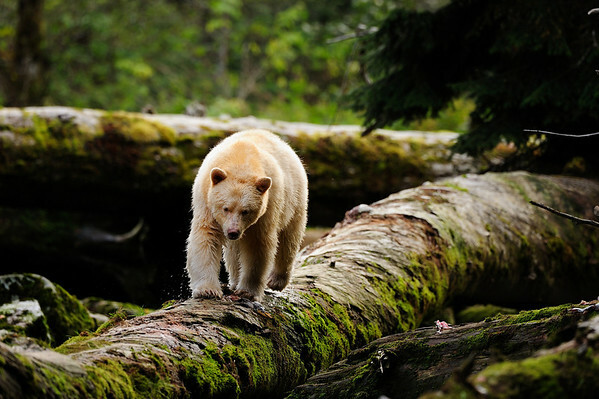 The Spirit Bear, formerly known as the Kermode Bear (Ursus americanus kermodei) is actually a subspecies of the American Black Bear. A recessive allele that is common in the local population is the cause of this colour variation. They are not albinos or not even related to the polar bear.